Following the shutdown of Martz Communication’s pair of HD fed translators, the company has begun selling off its properties in the market. 97.5 W248AQ Harrison MI has been sold to Salem Communications for $250,000 who will use it to rebroadcast Conservative Talk “1400 The Patriot” WDTK. Martz had purchased the translator last fall for $32,000 and had gained a CP to move it to 92.7 with 250 watts. Following the debut of “ESPN Deportes Chicago” 97.5 W248AO, EMF will be pairing with Clear Channel to launch a second translator in the city. 96.7 W244BQ Park Ridge has applied to operate with 85 watts at 1181 feet with a directional antenna pointed northwest away from WSSR Joliet. The translator will broadcast EMF programming via 95.5 WNUA-HD3. 106.3 W292DT Auburn OH has applied to give itself coverage over the northern Cincinnati suburbs. The translator will be fed via a subchannel of Clear Channel’s 102.7 WEBN. Also in Cincinnati, EMF’s 100.7 W264BW Norwood OH has been granted its CP to operate from downtown with 250 watts at 935 feet fed by Clear Channel’s 107.3 WKFS-HD3. The translator will operate with a directional antenna pointed south towards Kentucky. EMF will be working with Flinn Broadcasting to upgrade a translator in suburban Memphis. 97.7 W249BN Ellendale TN has applied to jump from 19 to 250 watts from the tower of Flinn’s WTWV-TV in Bartlett. It will rebroadcast Flinn’s Sports 560 WHBQ. Martz’ Urban “WAMO 100” W261AX Pittsburgh will improve its signal in the market. It has gained a CP to move its tower from north of Pittsburgh to the WKST tower south of downtown where it will better reach its target audience. It will continue to operate with 99 watts, while dropping tower height to 725 feet where it will cover much of the market. W261AX is fed by AM daytimer 660 WAMO Wilkensburg. EMF’s 106.7 W294BL Calera AL has applied to move to downtown Birmingham on 107.3. The 99 watt translator will broadcast directionally due south towards Hoover. It will rebroadcast a subchannel of Cox’ 106.9 WBPT. Radio Training Network has gained its CP to boost 95.3 W237CI West Tampa to the east side of Tampa with 250 watts on 105.9 where it will rebroadcast Clear Channel’s News/Talk 970 WFLA. Emmis will soon be gaining an additional signal in Austin. Rio Bravo Entertainment’s 100.1 K261DW Henly TX has applied to move to Austin’s West Lake Hills with 99 watts at 1128 feet. The originating station will be Emmis’ 107.1 KLZT. EMF is shifting a pair of translators in the Portland OR area to give it a downtown signal. 92.7 K224CP Hazel Dell WA will drop from 9 to 4 watts in order to allow K224DL Portland to operate with 99 watts at 348 feet from just west of downtown. Both translators will be fed by a subchannel of Clear Channel’s 103.3 KKCW. WBPT doesn’t have a subchannel, they don’t broadcast in HD as far as I know. I guess it doesn’t really matter to the FCC what someone lists as the parent station as long as it meets the technical rules? Down in Mobile there’s a translator listed as relaying WHIL-HD2 and they don’t broadcast in HD, either. Until the translator gains approval and begins operations the subchannel doesn’t need to be there. A translator rebroadcasting a commercial FM is unable to operate outside the service contours of the originating station. Non-commercial originators do not have that restriction so you see a lot of translators say they are going to rebroadcast a non-comm until they get their move approved. Martz’ Radio Power Inc. has used that to initiate a number of their long distance moves that the FCC is now cracking down on. I’d wager it is slim to none that when W262BL begins operations in its final destination WHIL-FM will not be part of the equation. Thanks Lance for clearing that up for me. I always wondered why companies did that! 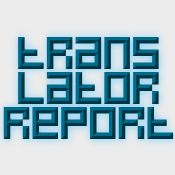 Does anyone have a complete or updated list of FM translators that act as primaries? That is, relays of an AM or HD signal.